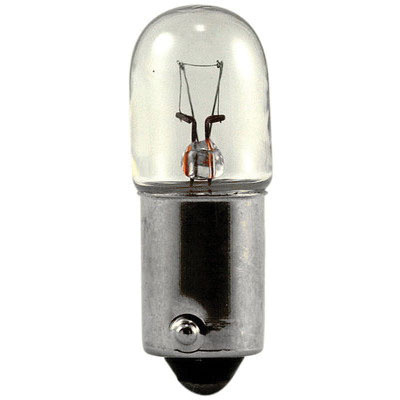 Eiko Incandescent lamp features single contact bayonet BA9s miniature base. The tubular T3 (1/4) bulb outputs light of 4.53-Lumens and exhibits an average life of 7500 Hours. It has a voltage rating of 120-Volts and current rating of 0.025-Amp. This is a CC-7A filament lamp.